SiteGround was founded in 2004, so it has had plenty of time in the web hosting industry to perfect its services. It is now an industry leader. Having grown from a few university friends working together to a company of 220 employees, it continues to grow in size and scope. SiteGround now hosts more than 320,000 domains. Its team is highly trained and can handle high volumes of requests. The company is now able to handle over 800 chat requests each day plus 1,000 tickets and 500 phone calls. In hiring talent, it looks for skilled professionals with the same attitude and philosophy as its own. A team of natural helpers undergoes continuous education and training in customer care. The company claims its call center has a turnover ratio of near zero, while most call centers have a 35% turnover ratio. In addition to providing great customer service and web hosting, WordPress, and Joomla support, it has been visible at major events. It is a sponsor of DrupalCon LA and organized the Bulgaria PHP Conference. The company was also present at Affiliate Summit West 2015 in Las Vegas. 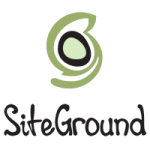 Our SiteGround coupon will allow you to experience significant savings on SiteGround’s services. Just hit our “Claim Now” button and you’ll be sent to the provider’s website and automatically given the coupon code. In fact, it is pre-filled when you place your order on the SiteGround website. When using the discount on our website, follow these simple steps. Look for the SiteGround deal button, which will open up the website in a new window. The coupon will load as you get onto the SiteGround website. Click the link to get the coupon and start the signup process. Follow through the site’s signup steps. Our coupon will be automatically applied to the monthly price of the plan you choose. Choose your domain name, register, or use your existing domain. Proceed to the next step and fill out the secure order form. Add your payment method and contact details, create your account password, and choose extras. Submit your order when you are done to purchase the plan. SiteGround offers a few good perks aside from our coupon code. Backups are automatic and you can choose your server location. Integration with CloudFlare optimizes performance and integrates a fair level of security. There are also a lot of useful support materials and customer service is helpful when you need them. While good for newbies and small businesses, the service has comparably low storage and bandwidth. It also doesn’t support Windows server and you won’t find month-to-month shared hosting either. There’s no website builder, but several wizard-based tutorials help you get set up on the Linux-based servers. Three tiered plans are offered at a discount. StartUp, at an introductory price of $3.95 per month, gives you one website, 10GB of space, and good performance for up to 10,000 visits per month. It supports unlimited traffic, emails, and databases. You also get a free domain name, setup, and transfer. The service also comes with cPanel and SSH access and 24/7 technical support. GrowBig, at $7.95 per month plus our coupon, adds unlimited websites and premium support, speed, and security. It also comes with a one-year free SSL certificate and you can work with Joomla and WordPress. GoGeek, listed at $14.95 per month, is suited for frequently visited, resource-heavy sites. It comes with hardware, e-commerce, and staging (for WordPress, Joomla, and Git) tools. All plans come with the promise of 99.9% uptime. You can host a website on a dedicated machine managed by proprietary software. Three tiered plans are offered, beginning with four CPU cores, eight CPU threads, 4GB RAM, 500GB storage, and 5TB bandwidth. With a SiteGround coupon, you get cheaper WordPress site setup that includes 1-click installation. It comes with a free domain name and templates. You can also transfer existing accounts for free and you get assistance from real WordPress experts. The same 3-tier plan structure is available for the provider’s WordPress hosting. Joomla hosting comes with the same advantages, features, and tiers. You also get access to a template gallery where you can choose your design type, category, and color scheme. A step-by-step tutorial is available for the savvy self-learner. Video lessons, extensions, archived guides, an FAQ, and Joomla events listing are also available through the company’s Joomla Services page. In addition, SiteGround supports Magento, Drupal, and PrestaShop hosting. Other services include email, FTP, PHP, MySQL, and cPanel hosting. SiteGround employs a Dedicated Server Operations team that constantly works to improve performance. It frequently tests hardware and tweaks equipment and software when necessary. Optimizing performance requires the best configuration obtained through regular tweaks, upgrades, and seamless transfer of accounts to the most current configurations. The company also makes a point of keeping replacement parts on site, including spare servers. That’s a good deal especially with our coupon code. Vulnerabilities are reduced using what SiteGround calls account isolation technology. One compromised account will not impact the rest of the server, allowing for a more reliable discounted shared hosting environment. The team also writes its own patches to fix vulnerabilities in common platforms. It proactively monitors for hackers and security exploits. The service never uses outdated software either, but the latest versions to ensure clients are protected. With a discount on SiteGround, there’s no skimp on support. Agents are available 24/7. Customers with tickets are guaranteed a first reply within 10 minutes. Live chat and phone support are instantly available all the time. Call centers are adequately, and according to the company, over staffed so wait time is minimal. Operators’ speed and performance evaluations are routine. The company is also able to track issues and perform load balancing most effectively. In addition to application specific support you get personal profiles of each support representative. You can see their name, technical background, and experience when you access HelpDesk or Livechat. Plus, there are also SiteGround tutorials, a knowledgebase, webinars, and a setup wizard to help you along.